In a world where marketing gurus are paid millions to try and come up with new iconic products, there's a true, real-world lesson in branding illustrated by Triumph's Speed Triple. Within eight short years, starting with the T509, Triumph has created a cult of sorts around its bug-eyed naked and it seems to be a good seller, at least in Europe. 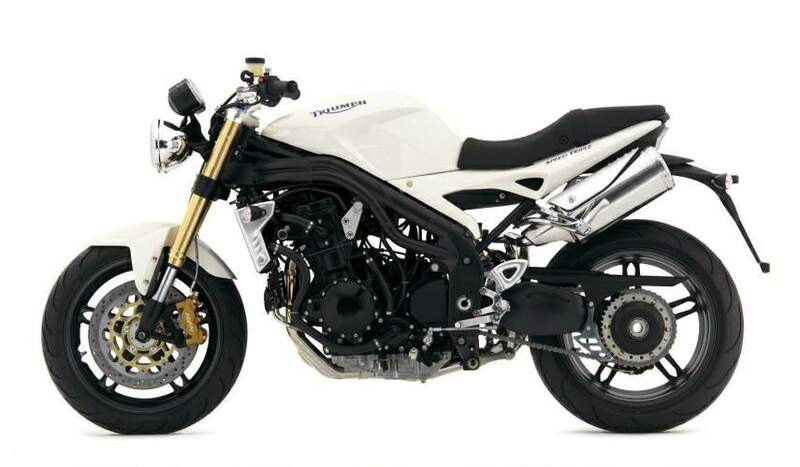 When you add in the fact that back in '97, the year of the mould breaking T509's launch, the very resurrection of the Triumph brand still raised quite a few eyebrows, so the current "cool tool" status of the Speed Triple is one hell of an achievement. 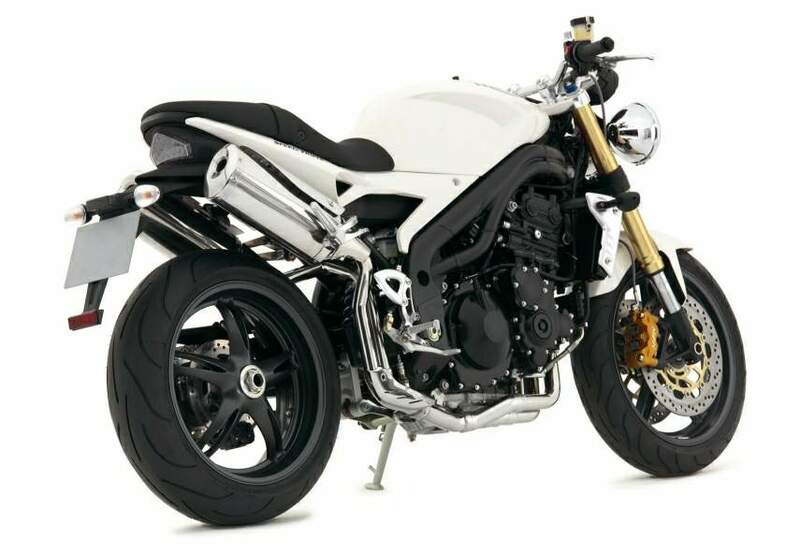 So then, for the fifth remake in the Speed's history, Triumph continues to dig that "bad boy" line that has endeared the Speed Triple to hard-core racer types and urban Streetfighters alike. 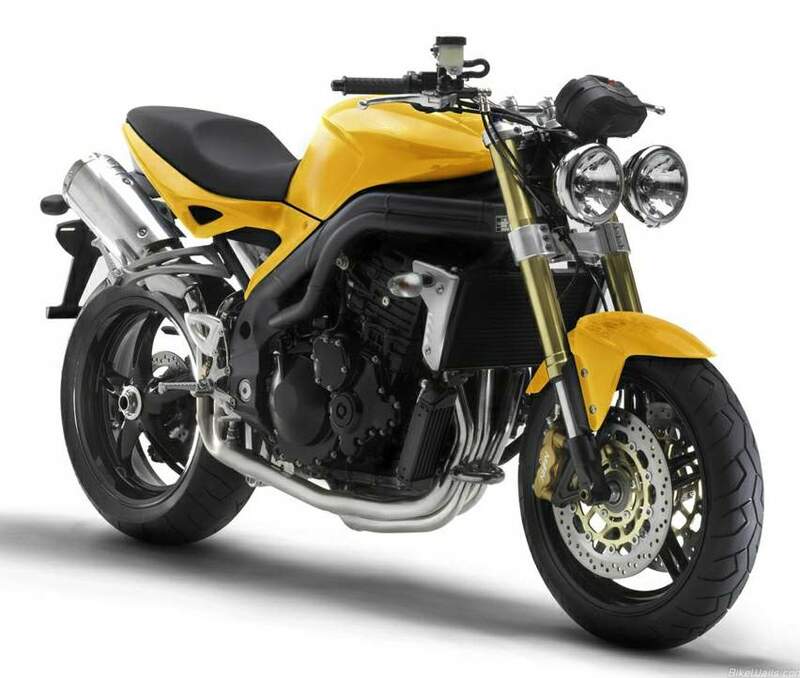 In 1997, twin, bug-like headlights were all the rage with streetfighter builders, so why not take on the current street trend towards short and stubby tails and high-level silencers? Previous Speed models had a hint of classic Brit in their tail sections but this one turns it all upside down with its "I-mean-business", short-barrel revolver tail. I have to admit, it's striking. Like it or not, just like with the controversial twin headlights in 1997, it's hard now to be indifferent about the Speed's tail. It just seems to end way too early! The new high-level twin silencers accentuate said stubbiness and thank goodness, designers decided not to follow the under the tail trend, so the seat is kind of flat. Other redesigned areas are the classy, sculpted gas tank and the minimalist side panels which have much sharper and more up-to-date lines. Compared to the solutions for odds and ends in previous Speed models, this one looks super sorted. Nice alloy shrouds allow the radiator to blend in and there's a new, way-cool instrument panel, not to mention the impressive USD fork with its radial calipers and tasty five-spoke wheels. The original T509 might have been born out of simply stripping down a Daytona but this one shows a serious design effort that is dedicated solely to this model. As strikingly new as the Speed looks, the twin oval tube frame remains very much the same; no vital dimensions have changed save for one, very important dimension. That dimension is piston stroke, which grows from 65mm to 71.4mm thus bumping displacement up to 1050 cc and horsepower to 129.8 from the claimed 120 of the previous model. Max torque gets a nice hike too, up to 78 "claimed" foot pounds. This should be good news to torque addicts, whether they're canyon-carving squids or urban hooligans. With valve and head dimensions remaining the same, a bigger bore means higher flow velocity and that usually translates into higher torque further down the rev range. I got a chance to try out the new Speed Ten-five-O at a recent Triumph track day and used the first warm-up laps to put the Speed's torque prowess to the test. The previous model had already made a name for itself with mean torque but the 1050 goes one better. Letting revs drop by using the higher gears, it's just uncanny how the Speed drives from as low as 1500 revs. The rev counter needle is hardly getting off the peg and this is just half of the story. Try to push a sporty twin below 2000 RPM and you'll get drive but some serious thudding and shaking will accompany it. This 1050 triple though, drives on in velvety fashion. I can understand how an extra cylinder smoothes things out but how come it works better at negligible revs than any four-cylinder motor I can think of? Is it the 120-degree spacing between crankpins? Kudos to Triumph for getting the low rev range so sorted. Pressing on, it just gets better. The prior model hit the fat of the power band at around 4000 RPM but the new one supplies 90% of your max torque by 3500 RPMs (according to some published dyno graphs in the Italian press). As I pick up speed with the Speed around the track, this "any-revs-work" flexibility from the engine lets me concentrate on lines and handling. The Speed is no lightweight, but as always happens with high and wide bars, it's quite easy to throw the 1050 around on this tight, mostly second-gear turns track. It's only in the rather tight esses that you feel the Speed's heft, on par with a Z1000 but slightly porkier than a Tuono or Monster S4R. On the other hand, mid-turn stability is really good, letting me dial in a few extra degrees of lean angle with each lap. Initially the Speed feels rather stiff and tight on its suspenders. The seat seems to be thinner, the shock and fork are more heavily sprung, but as I lower my lap times and start braking later, it turns out that the settings of the impressive new fork are very street oriented to say the least. With not that much weight loading the front, it might be a good compromise for street riding but while braking from 130mph to 50mph at the end of the straight, it just dives too much. 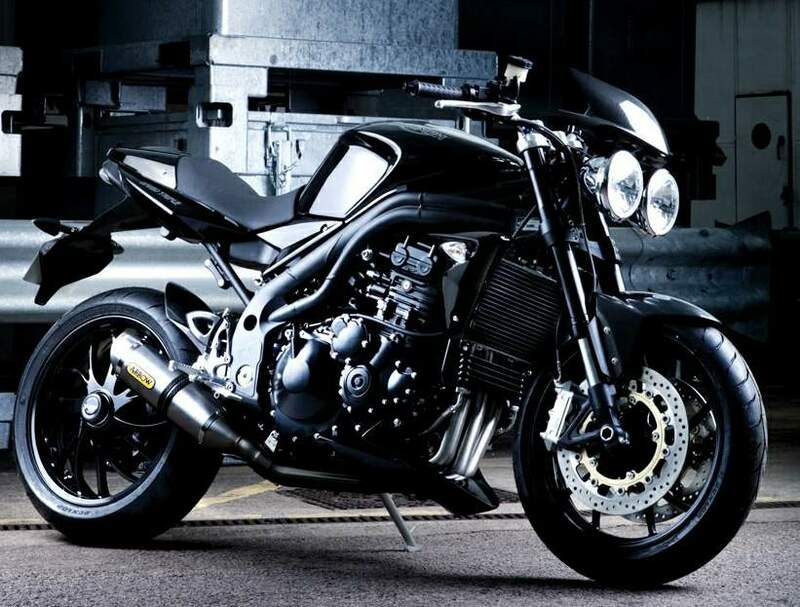 Luckily, Triumph considers the Speed as a serious sporting tool and the bike is equipped with a full house of suspension adjustments: pre-load, compression and rebound at both ends. After my first track session, knowing that I am going to have this bike for the whole day, I dial in some more pre-load. By now it's mid-day, and scorching hot out there; time for a break. I take a stroll through the paddock of this Triumph track day, and it's not hard to notice the amount of Speed Triple owners present, ready to take on the track. In Italy, land of Ducati and MV, it's quite surprising to see the level of following that this bike has and although many blokes are wearing retro-looking leather jackets that fit their modified Speeds to a T, none looks like a poseur.